This 75 lb. flat 24” square umbrella base is designed to support up to a 7.5 ft. umbrella without the use of a table for balance. The stem is 16” tall and can hold a 1.5” diameter pole. Made from steel that has been black powder coated for protection against water and chemicals. 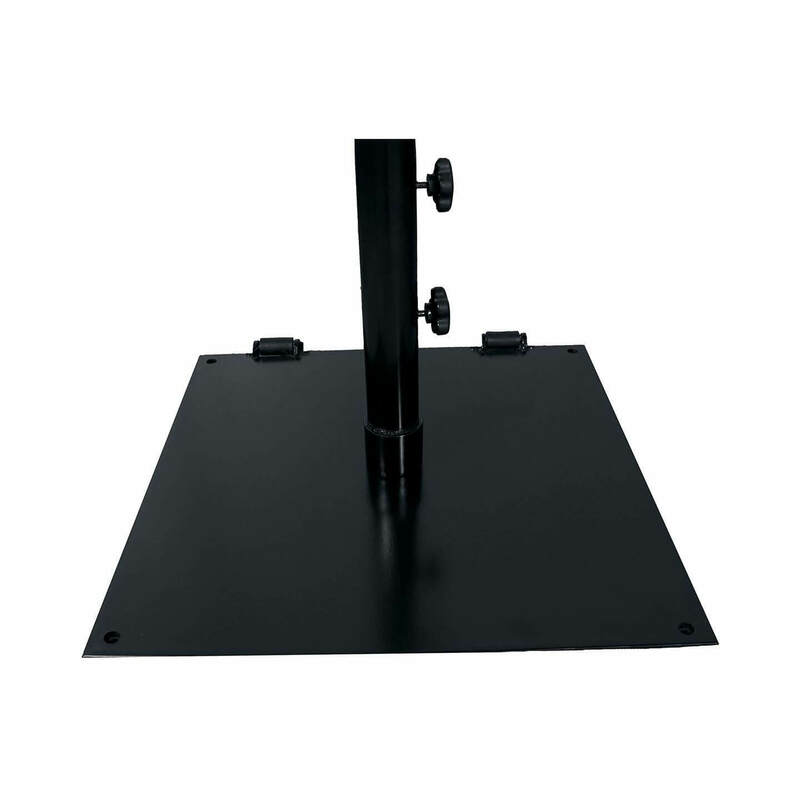 Though freestanding, this base is a perfect candidate for table use as well because of the flat construction there is more leg room under the table. Pre-drilled holes are also available for a surface mount option on the pool deck or patio. A great addition to hotels, resorts, and beachside restaurant. Includes a 1 yr. commercial warranty.